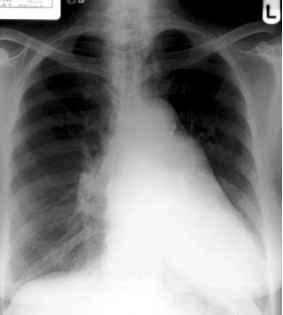 This is one of the images taken during a barium follow-through examination. 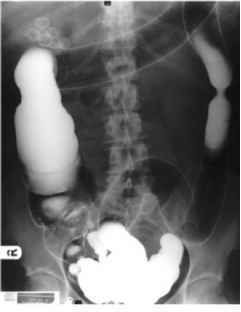 The small bowel can be examined using a barium follow-through technique or by intubating the proximal jejunum and injecting barium - small bowel enema/enteroclysis. A number of abdominal films are taken (in the prone position to separate the small bowel loops) to examine the small bowel as the barium passes to the colon. Further views are taken of the terminal ileum as this is an area particularly affected by Crohn's disease. The case example demonstrates a thickened, nodular (cobblestone-like appearance) of the terminal ileum mucosa - typical of Crohn's disease. Asymmetry, skip lesions, deep ulcers (see Fig. 2.25) and fistula formation are the hallmark of Crohn's disease, where as ulcerative colitis is characterised by a symmetrical disease in continuity, granular mucosa (see Figs 2.26 and 2.27), superficial ulcers and rectal involvement. 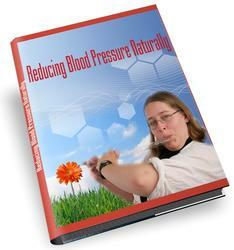 In late stage, there may be inflammatory polypoid changes, narrowing and shortening of the colon. 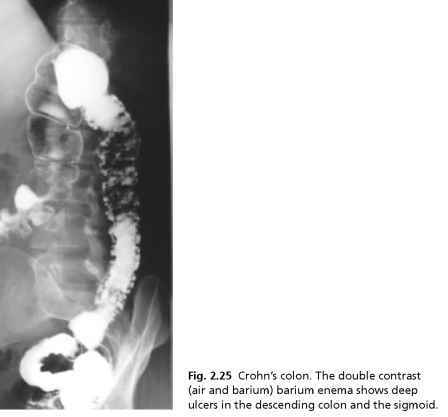 In ulcerative colitis (Fig. 2.28), the ileo-caecal valve is gaping (Table 2.1). Fig. 2.26 Ulcerative colitis. The entire colon is affected, there are reduced haustral markings and the mucosa is abnormal with a fine mucosal granularity.